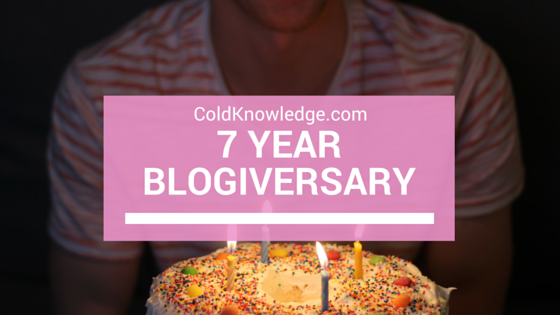 On 7/7 Cold Knowledge turns 7! Nicole Lewis, Lauren Gayle, Adrianna Moses, Audriana Smith, Melanie Woods and my fave Devri Velazquez. I'm looking at you: Kia (Come Wag Along), Z (Dear Queens), Tiff (Addiction), Devri (Devri Velazquez), Jaz (Shimmy Sistah), Alyx (Young Black Woke), Victoria (The Budget Diva and found of Black Bloggers United), Bree (Quirky Brown Love) and Phoebe (Phoebe Parke and creator of Bloggers of Colour). But all of that pales in comparison to the fact that I get to wake up every single day and express my voice on who I am and what I feel strongly about. The greater reward in that is that people feel what I'm saying and think highly enough of me to keep coming back every single time they see something they like. So to you, the readers and supporters, I thank you the most! Because without you backing me, there would be no Cold Knowledge. Here's to another seven strong years!